Create a new event or modify an existing event as a Round 2 or 3 from the "ROUNDS Description For This Event" drop down. Click ADD/CHANGE Active Event #x. You will be prompted if you would like to have the final heat(s) in a different session. If you click Yes a dialog will say "You will need to re-assign sessions for this event." 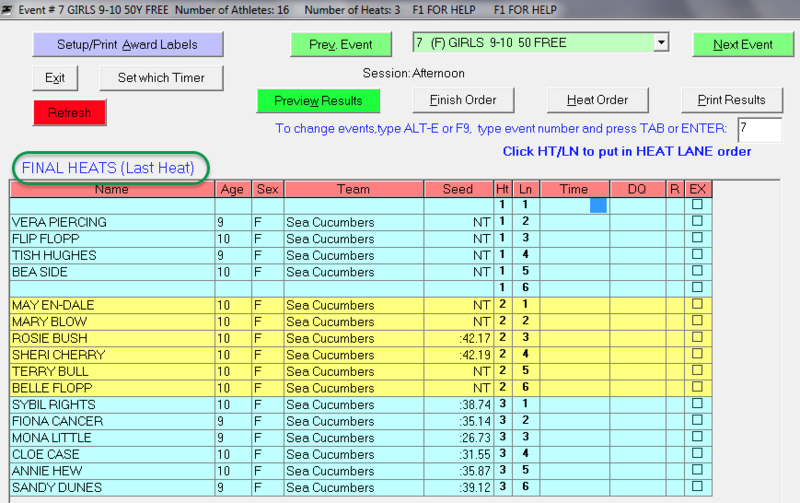 Click OK.
Click Set MEET Sessions and you will see a new event designated with an (F) in the RND column. Appropriately place these events in the correct sessions. Note when you add an event back into a session you will need to change the number in the ORDER column on the right back to what it needs to be (change the 22 to 7 in the example below). 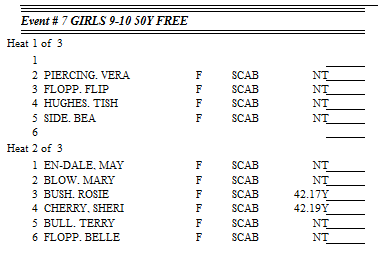 The Heat Sheets will show the first and last heats appropriately. 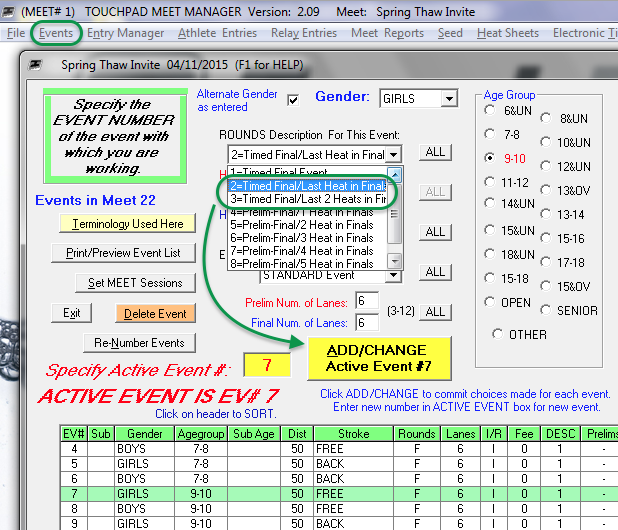 When entering results, TouchPad will message which heats are timed finals (Early Heats) and which are championship finals (Final Heats). Note it will show all athletes at once in both early and final heats screens.